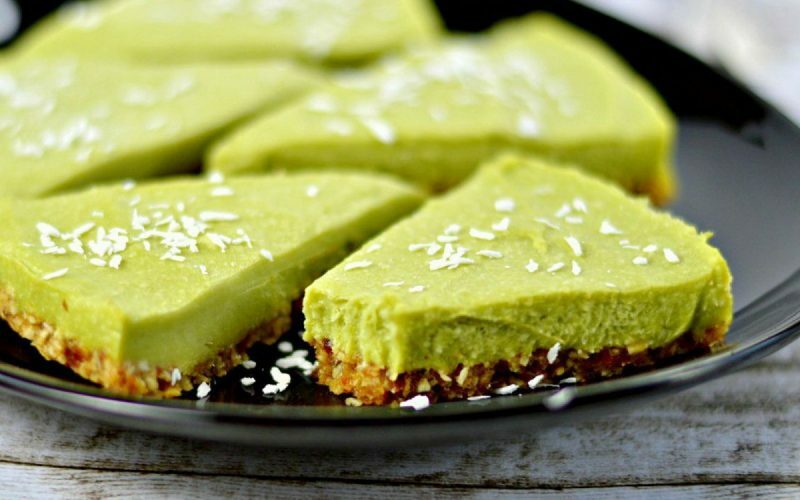 Incredibly summery, fresh and zesty, this raw vegan avocado tart is the healthiest dessert on Earth. It doesn’t get much better than this! Easy to make, it has very few ingredients and it is totally raw, which is what attracted my attention to it. So simple – Blend all the ingredients for the filling together, set aside. Mix all the base ingredients together really well and form a base in a non-stick tart dish or in a soft aluminium baking dish. The base should be approximately 0.7-1 cm thick. Put the filling on top of the base and spread evenly. Put into the freezer for at least 3 hours or if possible overnight. Enjoy! Stacy is a motivated chef who started off as a stewardess on boats before realising that where her heart lay was in the kitchen. She is particularly interested in healthy cuisines such as vegetarian and raw food, and cares a great deal about the quality of ingredients that she uses.